The chief motive behind most of the infrastructural development, technical transformations or changes, heavy equipment and engineering industry has been considerably making contribution to the economic development. The range of technologies such as CAM and CAD has virtually made the engineering industry a vital part of all the industrial operations, whether it is processing, designing, manufacturing or even quality assurance. This industry requires specialists who have logical brain and profound technical knowledge to get to effective solutions. In addition to qualifications and knowledge, they are required to be desirous enough to gain more knowledge, enhance their skills and continuously familiarize themselves with the ongoing changes and transformations. We, at CMC, have a pool of highly professional and skilled candidates who are sensible enough to diagnose problems. 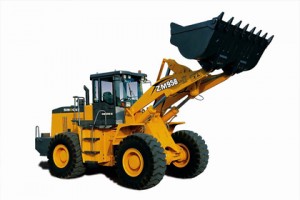 In addition, they have considerable strength and stamina, which is needed to use heavy equipment and work in hard conditions. Personnel that we provide cannot only just work alone, but they can also work as part of a team and most of all get easily adjusted with your organization.